At Houston AC Service, we offer repair, preventative maintenance and new install services for all your air conditioning, heating and refrigeration needs. Being licensed by the State of Texas, we strive to maintain your home AC and HVAC units in an excellent condition through our expedient and professional services. We are a family-owned and locally-managed business in Houston. We are acknowledged as a reputable service provider for repairs, maintenance, installations, and replacement of air conditioning/ heating systems across the greater Houston, Humble, Atascocita and Kingwood areas. As a family owned and operated business, we understand that air conditioning repairs can sometimes be costly in time, comfort and money, however our technicians strive to ensure top-quality services as quickly as possible and within an affordable pricing range. We have customer service at the core of our business values. Houston AC Service works with the mission to ensure a quick and reliable services for your home or commercial HVAC and refrigeration needs. We focus on reliable, efficient service and want to become your first preference for AC repair and maintenance needs in the Greater Houston area. We have been servicing client needs for more than 10 years with an excellent satisfaction rate. Despite the humble beginnings of our business, our persistent efforts have led us to a reputable standing today. When hiring a professional AC repairing service like ours, you can rest assured that the technicians responding to your call have the skills, experience, and certifications to address your needs. At Houston AC Service, we follow a stringent and comprehensive procedure of pre-selection verification. Every technician is background-checked on various parameters to ensure the complete security of our clients. Our technicians are knowledgeable and completely understand what they do. And, they do it in the best way possible. These are tradesmen who are factory-trained to handle all models and type of air conditioning, heating and refrigeration systems. They are certified to do this job and are skilled to do it perfectly. Moreover, they are always updated with latest techniques and equipment to ensure you complete peace of mind. When should I get my HVAC and air conditioning unit serviced? We recommend that you get them serviced and inspected twice a year. It is highly advisable to have air conditioning systems checked in the spring and heating systems in the fall. What are the alarming signs to get my equipment checked? Your equipment requires service if it begins to make an odd noise, insufficiently cooling/heating your home, taking longer than usual for cooling/ heating, or an unexplainable rise in electric usage. Why keep my outdoor units covered during the fall and winter? It helps to keep away the dust, dry leaves, and debris. However, you must cover only the top half portion of the unit to prevent condensation. When should I change the air filter? 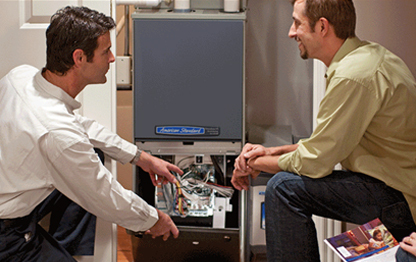 If your furnace has standard filters, they should be changed on a monthly basis. Media air filters should be changed every 6 months while electronic air cleaners in every 3 months. Is it necessary to keep furnace fan ON? Although it may cost a little extra you should keep it ON instead of AUTO throughout the day to maintain a balanced temperature in the house. At Houston AC Service we have been serving the Houston area for more than a decade with our specialized air conditioning diagnosis, repair, replacement, and installation services. We are a locally-managed business providing exceptional support for our clients. 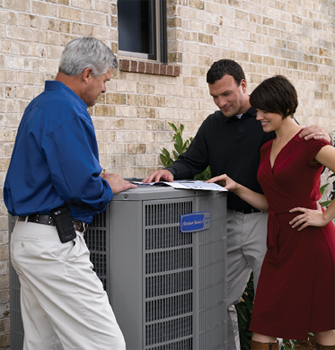 Whether you need a fast AC tune up or emergency service, we are always here for you. As a mark of our commitment to quality and reliability, we hire only skilled, knowledgeable, and certified technicians for handling your needs. We guarantee the best service quality every time you call us.